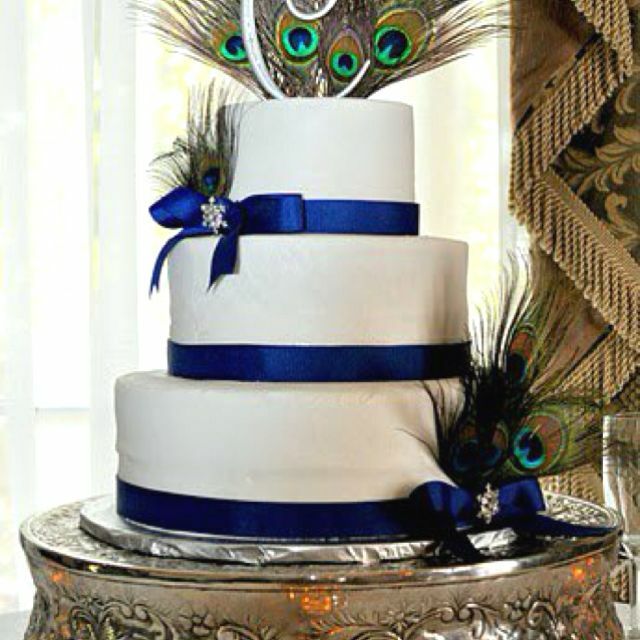 When it comes to wedding cakes I personally prefer them simple and one color only, at least that's how my wedding cake was. 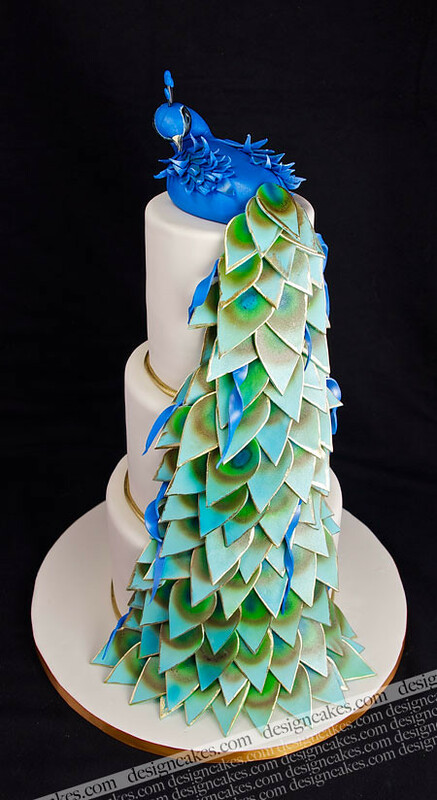 However when I look at Peacock themed weddings I must admit that I actually like the colored cakes as well. 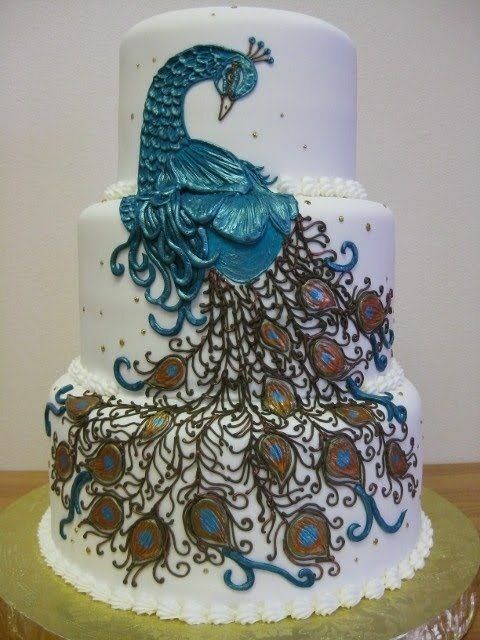 Here are some Peacock Cakes that I picked that I liked the most and think that would look just awesome for a Peacock Wedding! Hope you like them! 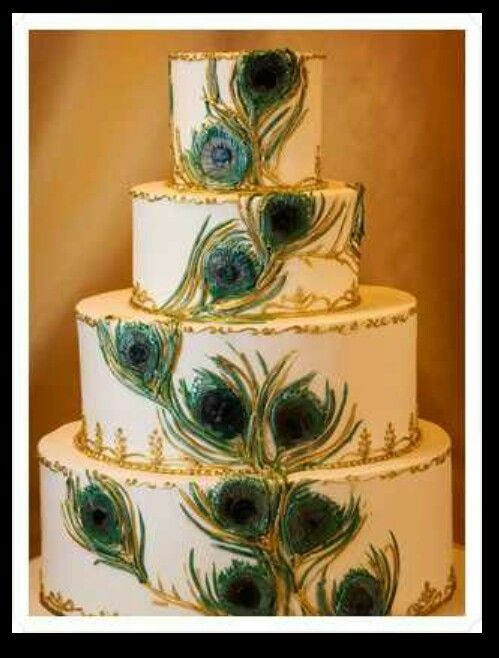 Remember that you can find more beautiful Peacock Themed Wedding Ideas on my Pinterest.